Of all the things a mom can pull out of her kitchen cupboard and give to her toddler for an amazingly good time, Jello has got to be the cheapest and easiest to make. 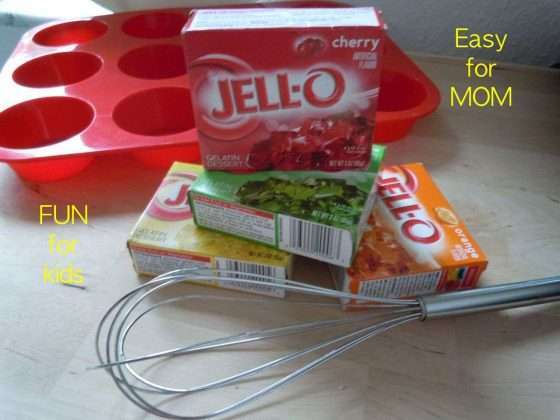 Prepare the Jello according to the package directions (remember that it has to “set up” in the fridge for a bit) and serve with a nice side of toddler-friendly utensils. 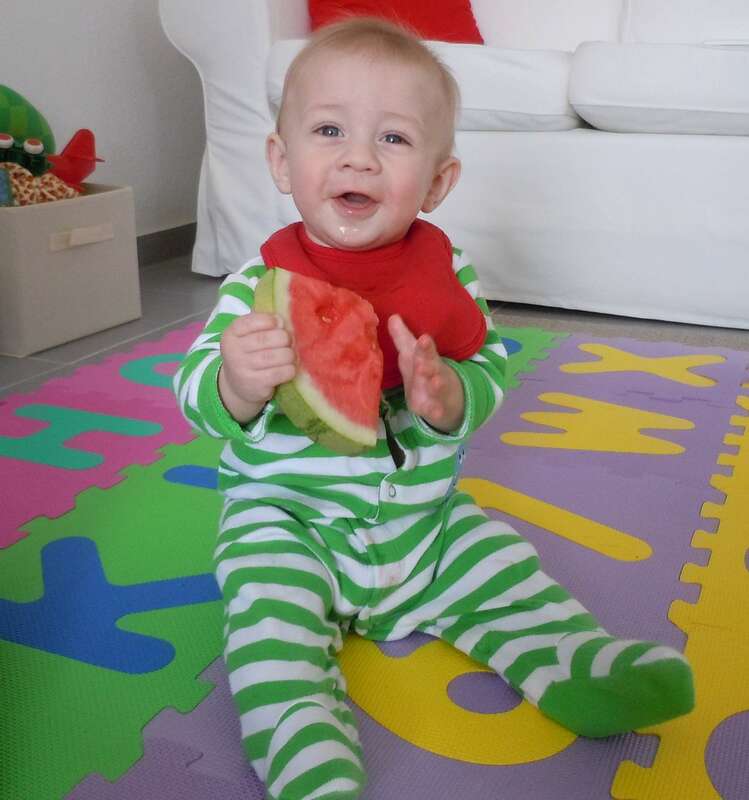 My toddler loves to use a spatula and a handheld strainer (in addition to his hands!) 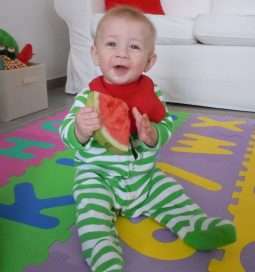 to stir, mash and smear the Jello all around his play space. For added fun and exploration, create what I call “Jello-scapes”. Our favorite is a safari Jello-scape. 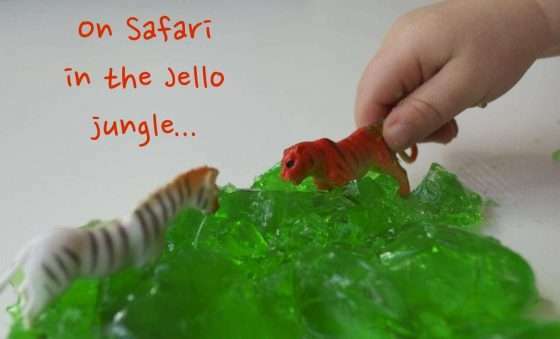 Use green Jello and a pack of wild animal figurines to create a safari adventure. These small, realistic-looking figures are perfect for toddlers…perfect for little hands, yet not too small for those who are still in the oral-fixation phase, they aid in animal identification and they can be used in a variety of toddler activities! Directions Pour juice in a medium size saucepan. Sprinkle gelatin powder over juice and stir. Turn the heat on medium-low and bring the juice to a simmer. Mix until gelatin is dissolved. Turn off heat and add honey if using. Pour into a 8×8 square baking dish. Refrigerate until jello is set, about 2 hours.